University of Illinois Press, 9780252075964, 176pp. Often regarded as merely the creator of sentimental images of mothers and children or an expatriate heavily influenced by Impressionism, Mary Cassatt is not typically regarded as an artist of radical convictions. In Eve's Daughter/Modern Woman, Sally Webster reevaluates these dismissals with a historical, aesthetic, and symbolist analysis of Cassatt's unique venture into the male-dominated realm of large-scale mural painting, Modern Woman. Commissioned for the Woman's Building at Chicago's 1893 World's Columbian Exposition, Modern Woman also stood as a personal and professional manifesto. 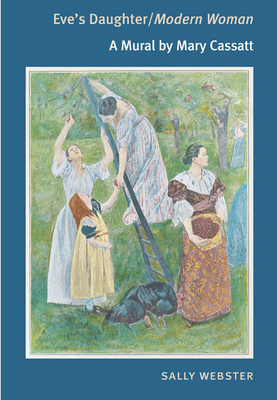 This book undertakes a complete overview of Cassatt's mural, synthesizing a wide variety of interpretations and original observations to present the first complete treatment of the work. Webster connects the symbolism of the painting to Cassatt's life as a woman artist and a member of the Parisian avant-garde, and to the history of woman's emancipation. She ends with a detective story as she joins the hunt to unravel the mystery of the now-missing mural, last known to be in the possession of Mrs. Potter Palmer (of Chicago's Palmer House family). Sally Webster, professor of American art at Lehman College and the Graduate Center, City University of New York, is the author of William Morris Hunt, and the coeditor of Critical Issues in Public Art.